Married life is going to be sweet for you and your better half, or for a couple you know, with this irresistible personalised wedding print. A perfect and unique wedding gift that will take pride of place on the wall of any newlyweds. 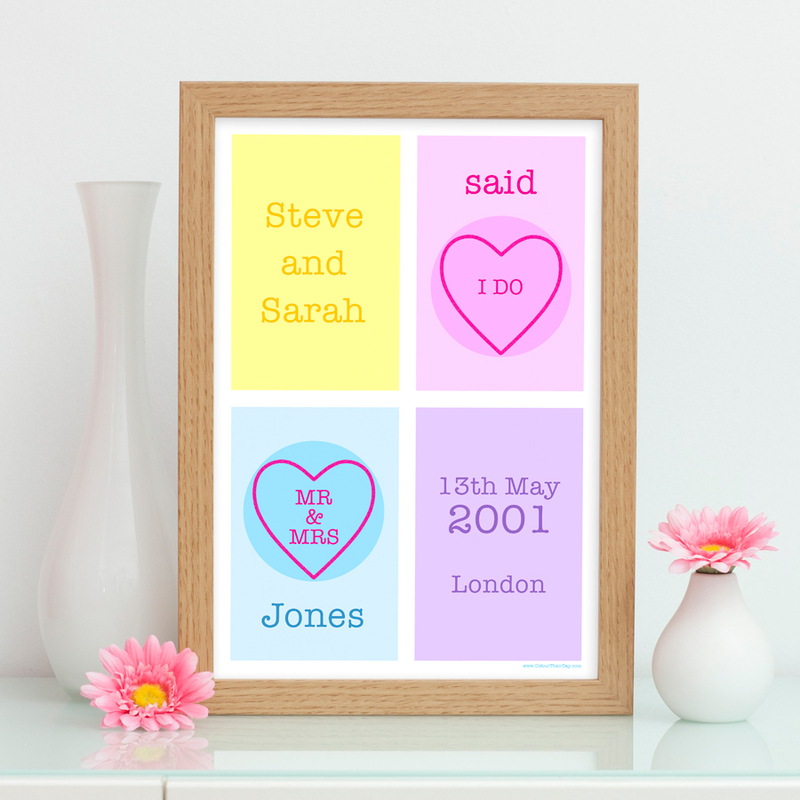 The design features rectangles in pastel yellow, pink, blue and purple with matching coloured hearts and text. Inspired by how sweet it is to say those special words ‘I do’. Be the first to review “‘I Do’ – Sweet Heart Personalised A4 / A3 Wedding Print” Click here to cancel reply.